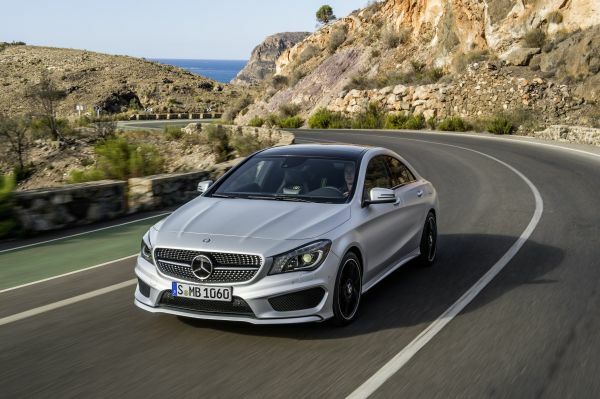 As the third member of the successful new generation of Mercedes-Benz compact cars, the CLA has achieved the best possible rating of five stars in the demanding Euro NCAP assessment scheme. The new CLA-Class from Mercedes-Benz passed the crash tests in the NCAP (New Car Assessment Programme) rating procedure with flying colours. It was therefore awarded the best possible rating of five stars for occupant safety, pedestrian protection and assistance systems. A- and B-Class before it likewise showed excellent performance in the Euro NCAP crash tests. In addition, the Mercedes-Benz CLA received three "Euro NCAP Advanced" rewards for safety innovations, including the radar-assisted second-generation COLLISION PREVENTION ASSIST (standard equipment), the ATTENTION ASSIST drowsiness detection system (standard equipment) and the anticipatory occupant protection system PRE-SAFE® (optional equipment). The CLA features comprehensive safety equipment. The coupé protects its passengers with up to nine airbags. Other safety highlights include belt tensioners and belt force limiters, also on the rear seats, and the active bonnet for pedestrian protection. Moreover, numerous driving assistance systems are available in connection with Mercedes-Benz Intelligent Drive, among them Lane Keeping Assist, Blind Spot Assist, DISTRONIC PLUS, Intelligent Light System, Active Parking Assist including PARKTRONIC and reversing camera.